4 Salad Plates, each plate 7 3/4" wide. Apple, Pear, Cherry, Grape. 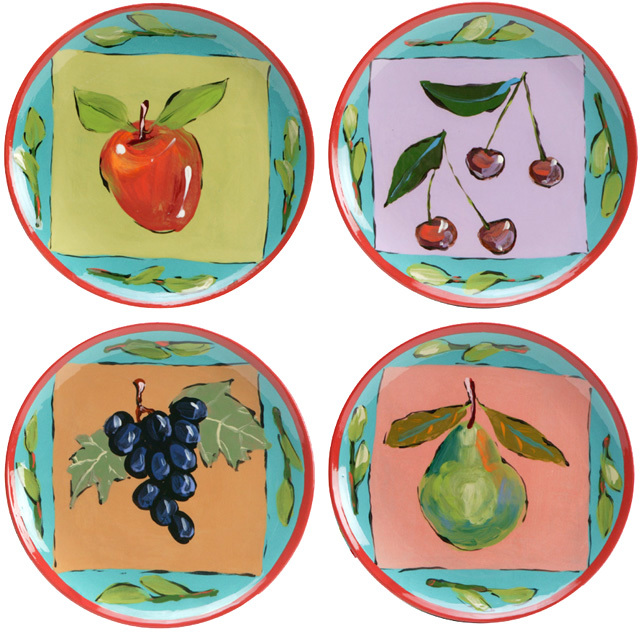 One of Droll's favorite fruity designs that will compliment any festive table!